We are gearing up for yet another cruise this year. This time, the Princess and I are heading down to Miami for Symphony of the Seas. Of course, we are very excited about sailing on this record-breaking ship. If you are wondering why, here are the top 5 reasons we are excited to sail on Symphony of the Seas. If you have been following us for any length of time, you know that we love mega ships. So, it should be no surprise that we booked one of the first cruises on this newly minted, largest cruise ship in the world. 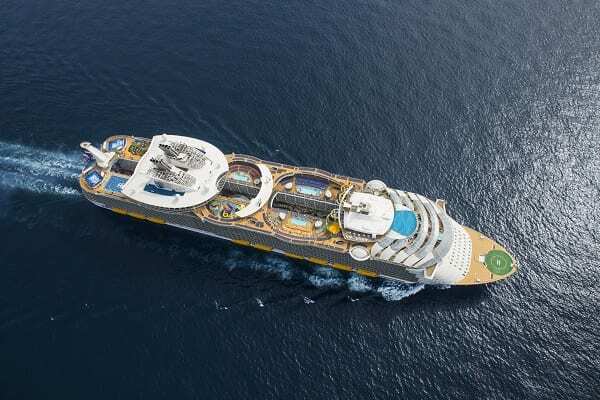 This trip will be our fourth Oasis-class cruise as we have sailed on all of the previous vessels in this class, including Harmony of the Seas, Allure of the Seas, and Oasis of the Seas. We are looking forward to getting back onboard and seeing some of the new enhancements, as well as our old favorites, on the latest version of this epic class of ship. Dining is one of my favorite parts of cruising. With Symphony of the Seas, our taste buds are very eager to try some of the ship’s new venues. Chief among them is the new seafood restaurant, Hooked. With our dinner reservation already set, and perhaps even a lunch stop, we are really looking forward to this first of its kind restaurant for the brand. 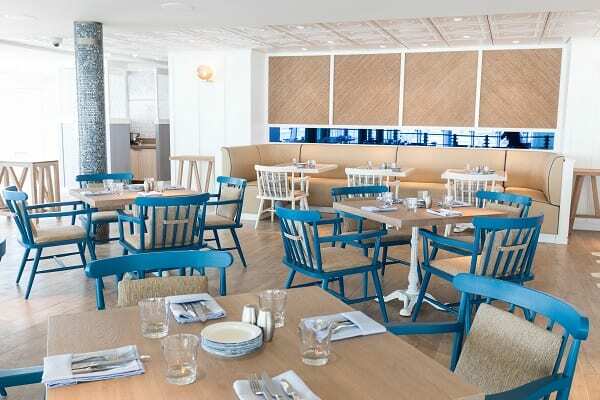 Among other additions to Symphony of the Seas is the casual El Loco Fresh, which is sure to be one of our regular lunchtime stops as we are big fans of Mexican food. Also, we are ready for our second round at the a la carte, Playmakers Sports Bar and Arcade. On our Mariner of the Seas cruise, we had the chance to test out some snacks one afternoon. Now, we are preparing for a full lunch (or two) where we can try more of the menu items. There are also our other favorites like Wonderland, the Park Cafe, and the Dog House. While other cruise lines have improved entertainment, Royal Caribbean still leads the pack when it comes to nightly entertainment. Among the shows topping our highly anticipated list is the new original production, Flight. With some of the most sophisticated props and special effects at sea, this show has received a lot of buzz online, and we can’t wait to check it out. The new Aqua Theater show, HiRo, also has us very interested. This outdoor venue is one of our favorites at sea, and we are always entertained by these productions. 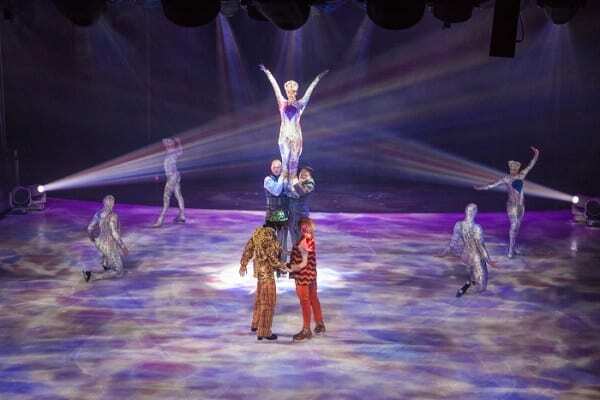 Add on the Broadway hit Hairspray, the ice show, and stand-up comedy, making our nights packed with Royal WOW entertainment while onboard Symphony of the Seas. For the first time, the Princess and I are sailing during the holidays. While we have vacationed around this time of year in the past, this cruise will be the first cruise during a major holiday. Of course, we will miss our family back home, but it will be nice to have the attentive staff onboard Symphony of the Seas taking care of us during this break. No making meals or doing dishes, so we can just sit back and enjoy some R&R during the Thanksgiving holiday. Yes, the Princess won’t get to do any Black Friday shopping, but she will be around for Cyber Monday. When we first booked this cruise, we were not aware that there were going to be “famous” cruisers onboard. 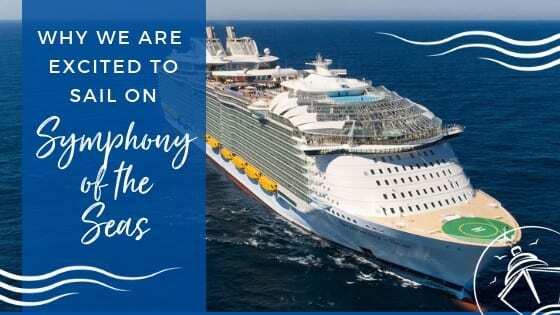 Lucky for us, we found out soon enough that we were able to join the Royal Caribbean Blog group cruise. Having shared articles, social media posts, and podcast stories online, it will be great to cruise with other Royal Caribbean die hard fans. Of course, it will be great to finally meet the one and only Mr. Matt Hochberg, the man behind the RCL Blog and podcast. We have learned a great deal from him and can’t wait to hang out, grab a few drinks, and dish all about Royal Caribbean. 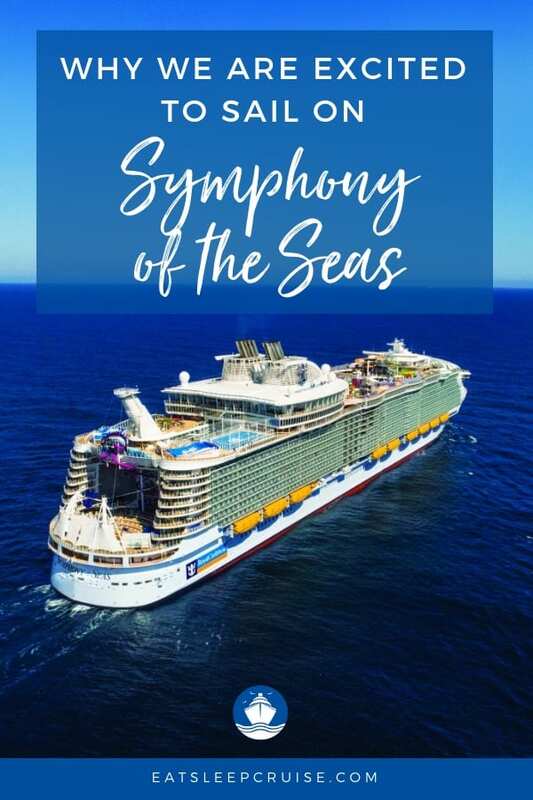 Do you have plans to sail on Symphony of the Seas? What features or venues of this new ship most excite you? Drop us an anchor below to share your thoughts on this record-breaking vessel. My husband an I are on the Dec 8 sailing and we are very excited. I will be checking out your site more often. Great info. Hi Wendy, thanks for the comments. We would love to hear about your experiences on the ship.